Go Kart Rentals | Los Angeles Go Kart Rentals | Go Kart Rentals L.A.
Celebrity Party Planner now offers Go Kart Rentals. 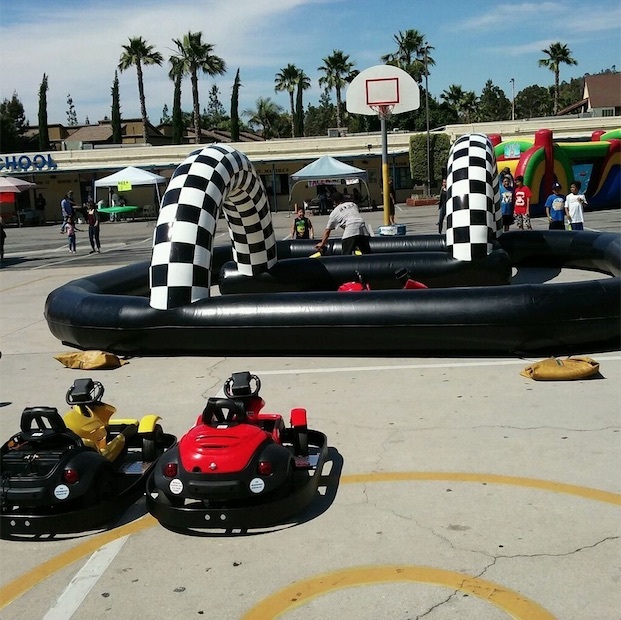 Go Kart Rentals create added fun to Corporate Picnics, private Birthday Parties, Family Reunions and just about any special occasion. Two inflatable track sizes to choose from. Customized tracks also available. Bring the fun of the speedway to your next party or special occasion. All set-ups come with trained attendants. We are licensed and fully insured. Please contact our booking line, and speak with a live-agent for additional details and pricing.